Your child has been referred for a 24-hour pH and impedance investigation. 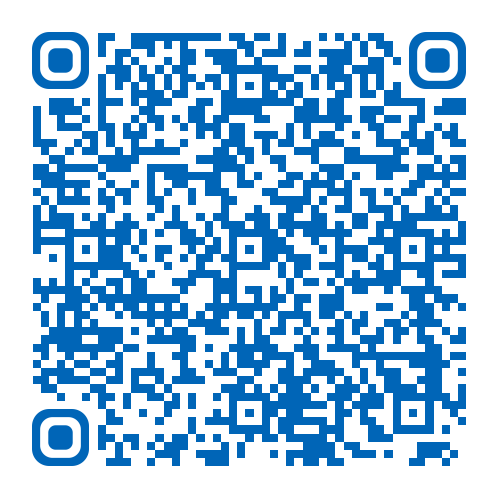 This leaflet explains what happens during the test and how to prepare for it. Most of your questions should be answered by this leaflet. If after reading it you have any concerns or require further explanation, please discuss this with a member of the healthcare team caring for your child, or contact the Department of GI Physiology. What is 24-hour pH and impedance monitoring? 24-hour pH and impedance monitoring measures the amount of fluid coming up (refluxing) into the oesophagus from the stomach over a 24 hour period and if this fluid is acidic. This allows us to establish whether your child’s symptoms are due to reflux. When you have informed the receptionist that you have arrived, a member of staff from the Department of GI Physiology will come and explain the procedure to you. 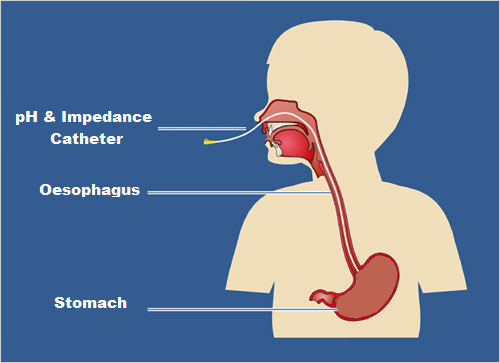 A fine catheter (tube) with small sensors will be passed via your child’s nose into the stomach. Once the tube has been positioned correctly, it will be secured with some tape to the side of the face. The end of the tube is passed under the clothing and will be attached to a recording device that can be carried around in the small shoulder bag provided. A member of the GI Physiology team will explain how to use the monitoring equipment during the recording period and give instructions for returning the next day. After this, your child will be required to attend the X-ray department to confirm that the tube is in the correct position. Your child will need to return to the Children’s Outpatient Department where the X-ray will be reviewed and if necessary, small adjustments will be made to the position of the tube. After the test has finished, your child may go back to school, or home. Why does my child need 24-hour pH and impedance monitoring? This test provides valuable information regarding your child’s condition and can help to decide what the best treatment is for them. Unfortunately, there are no other less invasive tests available that will give us this information. The risks are minimal and include gagging or retching with the insertion of the catheter, a runny nose, sneezing, nasal discomfort and a sore throat. There is a small radiation dose with the X-ray that is required to check the catheter position. Please be aware that your child will be required to return to the Children’s Outpatient Department the following day to have the tube and the recording equipment removed. We would expect you and your child to be in the department no longer than 15 minutes before you are able to go home. Your child should not experience any problems after the test, however please contact the department if you have any concerns. The results of the test will be analysed before a diagnosis can be made. Once this is complete, the report will be sent to the consultant in charge of your child’s care. They will decide what the most appropriate treatment is. You should expect to hear from the hospital within 4 weeks of having the test. If you have not heard from the hospital within 4 weeks, please telephone the hospital on telephone number (01482) 875875 and ask to speak to the secretary of the consultant caring for your child.